, allowing you to track user signups, posts and comments created, and more. Today, we’re bringing you even more usage reporting so that you can better understand Google+ adoption and engagement in your organization. 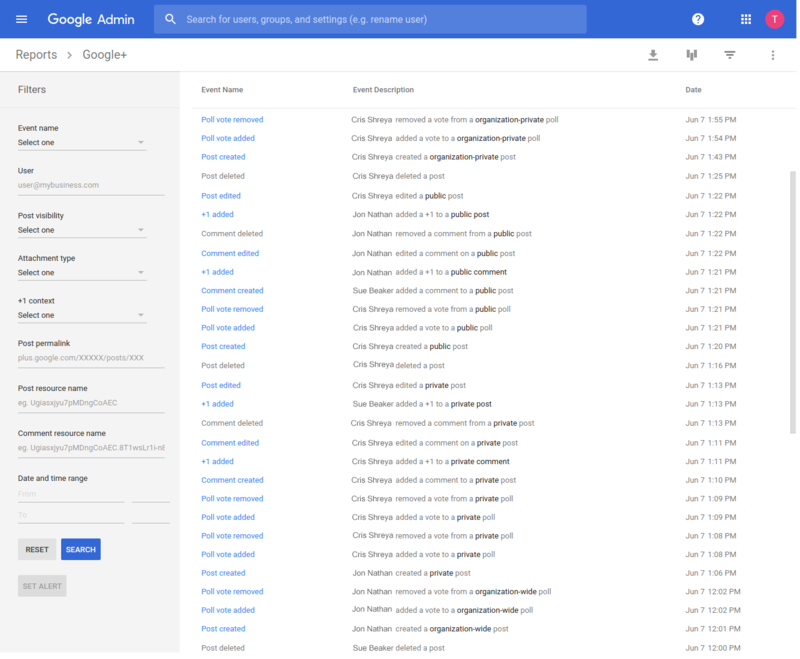 To help you get a better sense of the total usage of the product within your organization, we’ve added Google+ user activity data to the auditing section of the Admin console, as well as to the Reports API. These metrics, as well as user-level metrics for all G Suite apps, can now also be viewed for a chosen date in the past. In the future, we’ll continue to bring even more tools to help you manage Google+ usage within your organization. We’re always working to provide admins with the visibility they need, so please let us know what you think and stay tuned for more updates. From sharing updates with teams to offering advice between offices, more and more organizations are adopting Google+ to transform the way they work. 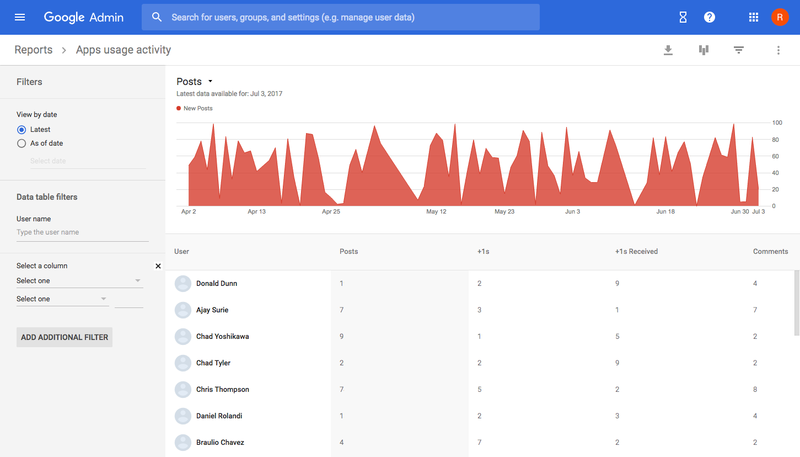 In April of this year, we added aggregated Google+ user activity to the Admin console and Reports API, allowing you to track user signups, posts and comments created, and more. Today, we’re bringing you even more usage reporting so that you can better understand Google+ adoption and engagement in your organization.